The people at Ace Propeller are trained and experienced boat propeller specialists, we’ve been in the propeller business for over 20 years. 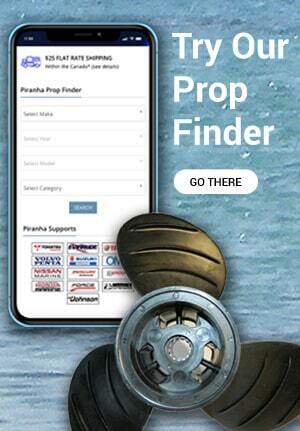 Propellers are our specialty and not just a sideline to selling boats or other marine accessories. We can tell you what is recommended for your specific boating application. We have been selling Piranha Propellers in North America for more than 15 years and have witnessed a “revolution" in the propeller business. We are so confident in the value and quality of this product that we have decided in 2019 to focus all our resources on this sole line of propeller products. Piranha has become the propeller of choice for many recreational boaters, search and rescue organizations, fire services, boat rental companies, and hunting / fishing lodges throughout North America. Join us in our mission to bring Piranha Propellers to the world.